Can you remember how you felt when someone looked over something you had worked on or created and said, “Well done”? It may have been your teacher, your parents or your new boss, but those two little words made you feel ten feet tall and ready to take on the next task with gusto. 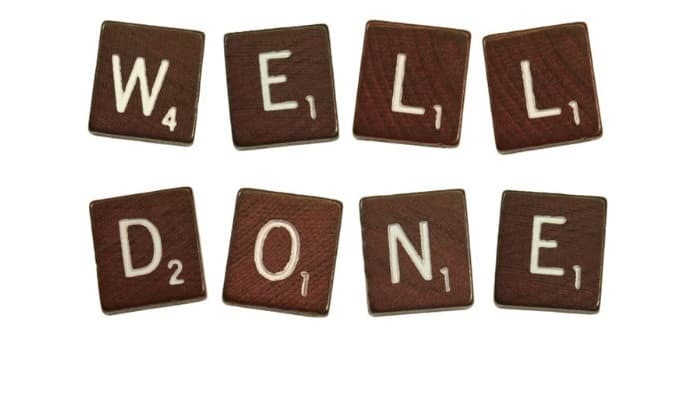 Well, those two little words still have the same effect on people, and it is with this in mind that we at ecardshack have designed a simple but effective “Well done” ecards. The front page carries the words well done on scrabble tiles, with space for an original message and plenty of space on the reverse of the card for extra words and logos. You could send these uplifting e-cards whenever someone in your organisation deserves a proverbial pat on the back with a well-done message on an e-card. People will still get that feeling of wellbeing when they receive an e Christmas card from you. By using our corporate Christmas ecards, you are able to send as many e-cards as you need to, without the hassle of addressing and labelling hundreds of envelopes. Our e Christmas cards for business range of cards have a wide range of festive designs for you to choose. Once you have selected the design and message you like, just e-mail them to your business community.